https://matcha-jp.com/en/973 Your Go-To Asakusa Souvenir Shopping Guide! Your Go-To Asakusa Souvenir Shopping Guide! Asakusa is not only a great sightseeing destination but also a great place to purchase souvenirs from! This article is a guide to the best souvenir shops in Asakusa. Souvenir hunting is one of the fun parts of a trip! 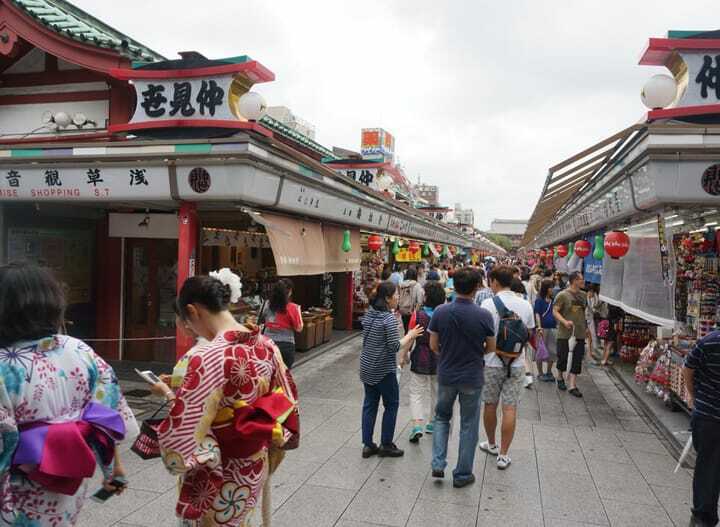 As one of the greatest tourist spots in Japan, there are many souvenir shops in Asakusa. Yet choosing souvenirs from the countless shops here can be quite the difficult task. In this article, we'll introduce some shops in Asakusa for any mystified visitors. Megastores and shops of varying price ranges and categories will be introduced so that you might complete your shopping lists all in one station, without walking around aimlessly. Shop for Traditional Snacks at Nakamise-Dori in Front of Sensoji Temple! The entrance connected to Sensoji is called Nakamise-Dori and is one of the many historical shopping streets in the area. It spans over 250m and there are 89 shops here. Artisans bake rice crackers and doll cakes one by one at these shops on Nakamise-Dori. Most shops here have quite a long history, and it is an ideal place for purchasing some traditional snacks. Japanese snacks are affordable, tasty, and perfect as souvenirs. Also, they are the ideal treat for when you're walking around Asakusa. Tons of other souvenirs are also available here and you should definitely pay these shops a visit. Next PageLooking for ninja-related goods and other Japanese items? Check out the next page! Asakusa Guide: Sensoji Temple, Nakamise-dori, Tokyo Skytree and More! Shopping In Shibuya? Check Out These 9 Shops Near The Station!